Join us for a public forum on PFAS and other emerging contaminants in the Cape Fear region on May 31, 2019 in Wilmington. The event is free, but registration is required. Limited seating is available. Register here. In June 2017, a StarNews Online article reported that GenX, an industrial compound associated with adverse human health and ecological effects, had been detected in the drinking water system of the Cape Fear Public Utility Authority (CFPUA) and the Cape Fear River. Approximately 1.6 million people receive their drinking water from the river, with over 300,000 people serviced by CFPUA. The discovery of these emerging contaminants has caused intense and widespread public concern about potential impacts on public health, prompting a flurry of legal, regulatory, and research initiatives. The federation has been actively involved in all aspects of the emerging contaminant issue since the public disclosure in 2017. The federation has provided leadership to affected communities and decision-makers, organizing the first advocacy and research presentation to the N.C. House Subcommittee on Water Quality/Emerging Contaminants, a process which eventually led to the appropriation of legislative funding to establish an early warning system to avoid contamination of this kind in the future. 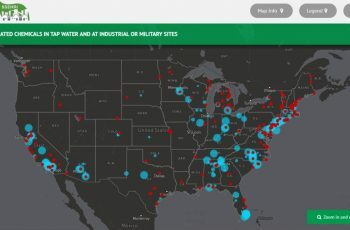 This emerging contaminants website provides the public and decision-makers with current information on monitoring results and public health research, as well as current and potential policy, regulatory and legislative needs and actions. The federation remains fully engaged on this issue; we will inform and engage impacted communities and elected officials and regulators to enable them to make informed decisions to restore and protect the human health of our citizens and the environment. What is GenX? 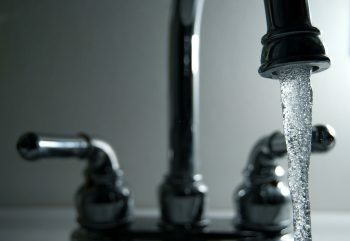 What are PFAS? GenX and other emerging compounds have been found in locations near Chemours, a chemical plant near Fayetteville that produces these compounds in the manufacture of Teflon. In addition to the Cape Fear River, GenX has been found in the environment close to the plant and throughout North Carolina, including in samples of surface water, groundwater and rainwater, as well as in soil and air. GenX belongs to a group of man-made industrial chemicals – perfluoroalkyl and polyfluoroalkyl substances – otherwise known as “PFAS.” These chemicals have been manufactured and used in a variety of industries since the 1940’s; since they don’t break down, they can accumulate over time in both the environment and in the human body. The exact health risks of exposure to GenX and other emerging industrial compounds remain unknown. Testing on laboratory animals links GenX to thyroid problems, increased risk of cancer, and life-threatening pregnancy complications. Emerging contaminants are not explicitly regulated under federal and state laws, and little data exists on safe levels for human consumption. In July 2017, N.C. Department of Health and Human Services (DHHS) set a provisional health goal of 140 parts per trillion (ppt). Initially set at 71,000 ppt, the goal was later adjusted to 140 ppt when DHHS took into account the risk of exposure over time to sensitive populations, such as pregnant women and infants. The health goal acts as a target limit, but has no regulatory effect. In August 2018, the Secretaries’ Science Advisory Board released a draft report on the review of the health goal and the EPA published a draft toxicity assessment in November 2018. Earlier in 2018, the N.C. General Assembly funded a statewide PFAS Testing Network. The network is a collaboration among six North Carolina universities designed to document and understand PFAS exposure in the state. This research effort will test for the presence of PFAS (including GenX) in water and air samples collected statewide. This research model is the first of its kind for any state in the country and the research team is hopeful that it could motivate other states to develop similar research programs to study PFAS in the environment. Information from the PFAS Testing Network will be shared to inform public policy efforts to enhance public health safeguards. News releases and presentations related to the GenX crisis can be found on the NC Department of Environmental Quality GenX Investigation website. For a detailed timeline of the long-term industrial contamination of drinking water supply from the Cape Fear River, as well as current levels of GenX in finished water at the CFPUA Sweeney Treatment Plant, visit the CFPUA Emerging Compounds website and please continue to check our website for updates as we continue work on this important issue. Questions? Contact Tracy Skrabal at tracys@nccoast.org or Kerri Allen at kerria@nccoast.org. You can also reach them at 910-509-2838. Your voice matters. Click here for a list of names and contact information for federal, state, and local representatives in North Carolina. A simple phone call voicing your concerns can truly make a difference. to the federation’s advocacy newsletter!